Washington, DC – (June 15, 2018) – (RealEstateRama) — The National Association of Affordable Housing Lenders (NAAHL) will host their Annual Policy & Practice Conference titled, “Scaling Innovative Strategies for Affordable Housing” at the National Press Club in Washington, DC. This year’s conference will feature a discussion with Comptroller of the Currency Joseph Otting about his plans to update rules implementing the Community Reinvestment Act (CRA), a law that requires banks to help meet community credit needs, including those of low- and moderate-income neighborhoods. Conference speakers and panelists include housing industry experts and policy makers from banks, community development financial institutions, and other capital providers, who will share information on best practices and new innovations for lending to underserved homebuyers, investing in naturally occurring affordable housing, financing home rehabs in distressed neighborhoods, and the future of CRA. The conference will open with keynote speaker Lisa Rice, President of the National Fair Housing Alliance, followed by a panel of speakers from the Terner Center for Housing Innovation at UC Berkeley to discuss their research on mortgage access and housing production across markets, and a Town Hall discussion on modernizing the CRA led by Buzz Roberts. 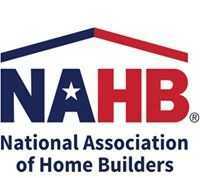 About National Association of Affordable Housing Lenders NAAHL is the only national alliance of banks, CDFIs, and other capital providers dedicated to expanding economic opportunity by financing affordable housing and neighborhood revitalization. NAAHL has worked to advance responsible community reinvestment, fight predatory lending, and strengthen publicprivate partnerships. For more information, visit www.naahl.org. The National Association of Affordable Housing Lenders (NAAHL) represents America’s leaders in moving private capital to those in need, organizations committed to increasing private lending and investing in low- and moderate-income communities. Members are the “who’s who” of private sector lenders and investors in affordable housing and community economic development: banks, loan consortia, financial intermediaries, local and national nonprofits, and public agencies.